Before going to the doctor, see what tea can do for you. Although hot tea with honey is not an alternative to prescription medication, it may temporarily reduce cold and flu symptoms and help reduce menstrual cramping. If symptoms last for longer than a week, consult a doctor for additional treatment. Drinking hot tea may help reduce the pain and tightness in the abdomen associated with menstrual cramps, says Penny Wise Budoff, M.D., author of "No More Menstrual Cramps and Other Good News." Brew a cup of herbal tea, add honey to taste and drink to help increase blood flow in the body, reducing menstrual cramps. Place the warm cup on your lap to use the warm liquid to increase blood flow in your abdominal area. Do not drink a tea that contains caffeine, as this may exacerbate your menstrual cramps, making them even worse. Honey may be an effective cough suppressant, says the Mayo Clinic. Pour hot water in a mug, then add an herbal teabag and 2 tsp. of honey. 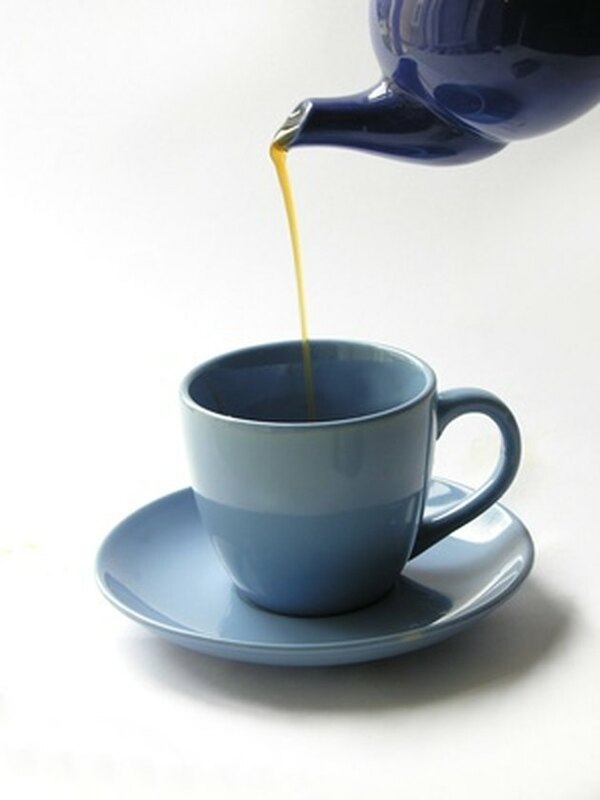 Sip the tea while inhaling the steam from the cup, which will help loosen congestion and tightness in the chest. Honey will coat the throat, preventing irritation that may cause you to cough. Drink the mixture as necessary to reduce a cough. This remedy may be particularly useful to suppress coughing before bedtime. Drink hot herbal tea with honey to help heal laryngitis and soothe symptoms, says otolaryngologist, Robert Feder, M.D. Staying hydrated, with herbal tea, juice or water, will help moisten and hydrate the vocal cords. Additionally, honey will coat the throat, soothing irritation. Inhale the steam rising from the mug of tea while sipping it slowly. Breathing in steam will help moisten the vocal cords, which will help speed up healing time and help temporarily reduce the symptoms of laryngitis.